My father, Steven Pringle, is a lifelong fisherman. Ever since the year 1967 when he was four years old, fishing has been his passion. 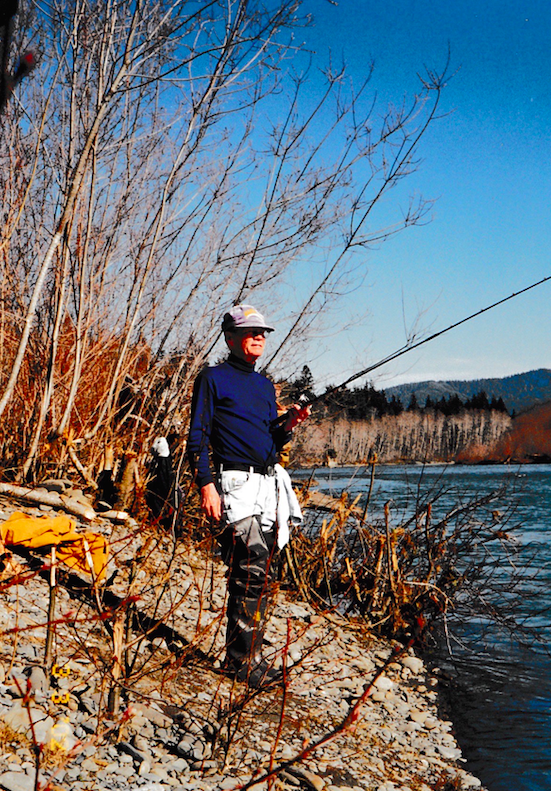 Starting off in the Green River, in Kent, WA, he would go with my grandfather fishing for steelhead. The art of fishing has been passed down generations in my family. Hence, my grandfather taught my dad everything he knows about fishing. 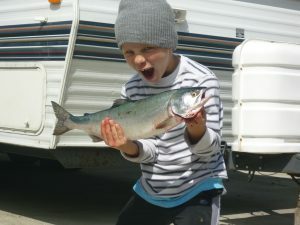 They would go out and catch their limit on steelhead every weekend. Back then, they were plentiful. 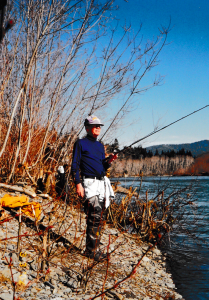 Today, he says “You’re lucky to get one or two steelhead a whole season of fishing on the Green River.” Not only has he observed steelhead decline, but he’s also seen the population and size of Chinook salmon dwindle over the last 50 years. My father has fished the Puget Sound, specifically Commencement Bay, for over 50 years. The largest salmon he ever recalled catching was 40 pounds off the mouth of the Puyallup River in 1994. 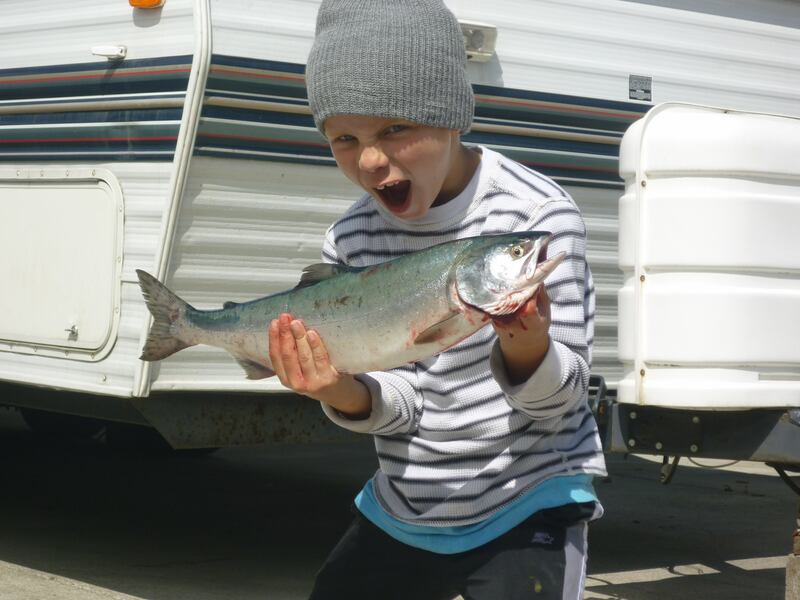 When he first started fishing there, it would be normal to catch your limit with around 20-25 lb Chinook salmon. Although this wasn’t the exact fish, this is what the size of a 40 lb Chinook looks like. The Puget Sound had really good fishing back then. It’s true, I have also observed this in my personal fishing experience. 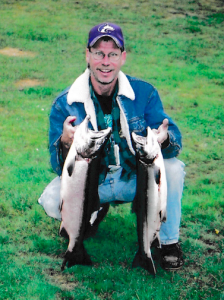 My father would take me and my siblings out fishing on Puget Sound to catch Chinook salmon. My childhood basically consisted of spending the entire summer out in the bay screaming, “FISH ON! 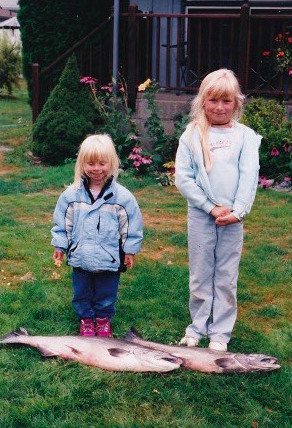 !” After catching these salmon, my siblings and I would proudly run home to our mother and pose with our trophy fish. Our dad, Steve, would show us how he would gut and filet the salmon. I remember excitedly waiting to see if the salmon had eggs to determine whether it was male or female. Maybe this is where my love of biology stemmed from? I thank my dad for that. I remember when I was around 6 years old, my dad hooked a 27 pound Chinook. I was so excited to see it, but when it came flopping into the boat I was so scared because it was almost as large as I was. Flash forward 15 years and me nor my dad have caught a fish as large as that one. The main problem with the fish returns is because of the rivers where they go back to spawn. 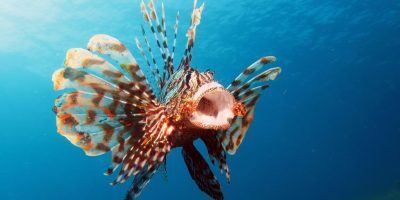 There just isn’t as much food, their habitat is degraded, and the spawning grounds are nothing like they used to be. This is most likely due to logging, pollution and everything else that man has messed up. Lynda Mapes brought up a few interesting points during her visit. First off, she brought awareness to the story about “nets coming up empty for the first time”. This struck me, because this was evidence that commercial fishermen and research scientists are actually noticing the decreased abundance of fish too. 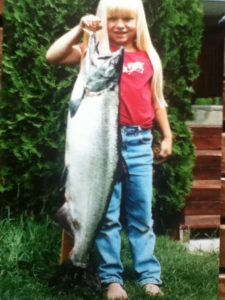 In a recent article she also addressed the issue of Chinook salmon being much smaller and younger these days. Similar to her findings about the Southern Resident Whales dependence on Chinook salmon, other research suggests that the predation rate on Chinook by other Orca whales further north has increased and this is causing the salmon to be smaller up and down the west coast. Information about climate change from Drs. William Cheung and Malin Pinsky undoubtedly is another explanation for this issue. 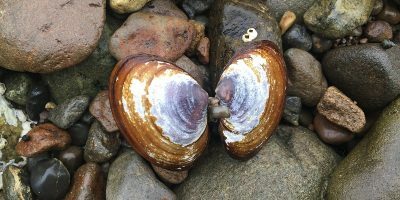 Pinsky found that many species are shifting poleward in response to climate change. 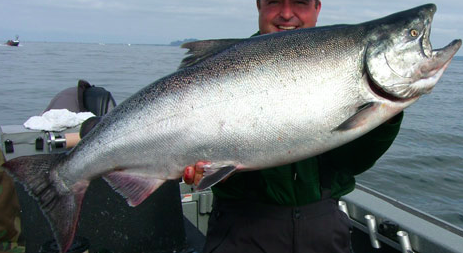 This could account for the decreased abundance of Chinook in the Puget Sound. 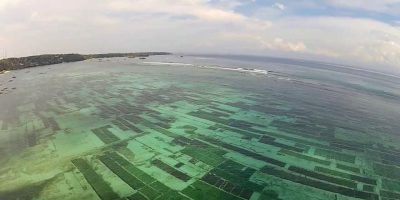 Besides fixing our current rate of carbon emissions and overfishing, I feel that Dr. Loren McClenachan brings up a great point through her research. Using historical photographs “provides a window into a more pristine ecosystem that existed half a century ago“. Using pictures from not only the commercial industry, but from people within the community will help researchers get a better idea of what the population was like years ago. If Dr. McClenachan’s research was applied to the Chinook salmon population of the Pacific Northwest, the use of these photos could hopefully help researchers document the loss of large Chinook salmon. The sustainability of Chinook salmon is very important for the economy and culture of the Pacific Northwest. I have hope that one day my own children will be able to catch 20+ pound salmon, just like my dad and grandfather did. Mapes, Lynda V. “No More ‘Kings of the Columbia’: Chinook Salmon Much Smaller, Younger These Days, Study Finds.” The Seattle Times, The Seattle Times Company, 27 Feb. 2018, www.seattletimes.com/seattle-news/environment/no-more-kings-of-the-columbia-chinook-salmon-much-smaller-younger-these-days-study-finds/. Mapes, Lynda V. “Orcas Headed to Extinction Unless We Get Them More Chinook and Quieter Waters, Report Says.” The Seattle Times, The Seattle Times Company, 26 Oct. 2017, www.seattletimes.com/seattle-news/environment/orcas-headed-to-extinction-unless-we-get-them-more-chinook-and-quieter-waters-report-says/. Mapes, Lynda V. “Scientists Survey Pacific Northwest Salmon Each Year. For the First Time, Some Nets Are Coming up Empty.” The Seattle Times, The Seattle Times Company, 9 Oct. 2017, www.seattletimes.com/seattle-news/environment/empty-nets-signal-trouble-for-columbia-river-salmon/. McClenachan, L. “Documenting Loss of Large Trophy Fish from the Florida Keys with Historical Photographs.” Conservation Biology : the Journal of the Society for Conservation Biology., U.S. National Library of Medicine, June 2009, www.ncbi.nlm.nih.gov/pubmed/19183214. Ohlberger, Jan. “Demographic Changes in Chinook Salmon across the Northeast Pacific Ocean.” Http://Onlinelibrary.wiley.com/, 27 Feb. 2018, onlinelibrary.wiley.com/doi/10.1111/faf.12272/full. Pinsky, Malin. “The Persistence of Populations Facing Climate Shifts and Harvest.” Http://Onlinelibrary.wiley.com/, 23 Sept. 2015, onlinelibrary.wiley.com/doi/10.1890/ES14-00533.1/abstract. Brittany is a junior at the College of Arts and Sciences at the University of Washington. Majoring in a Bachelors of Science in General Biology, she has a deep fascination for the world around her. She previously obtained her Associates of Science in Biology at Green River College while being an active member of two different collegiate level sports teams. Growing up, she enjoyed going fishing with her family in the Puget Sound catching King Salmon. 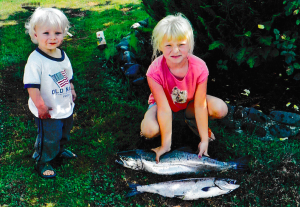 These childhood endeavors has lead her to have a profound interest in fishery sciences. I enjoyed this post! So happy that you were brought up this way. Love the pictures!